Passionista! : life according to my iPhone. life according to my iPhone. Last week was probably the most stressful week of my life. Our school district hosted Missoula Children's Theater and I was asked to be the accompanist for the play, The Jungle Book. It was actually really quite rewarding to sit in those rehearsals and watch all those kids learn a complete one hour play in just 4 days. 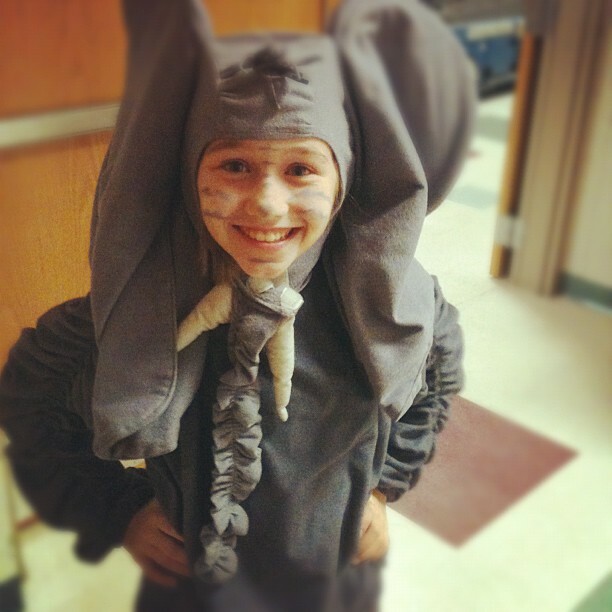 Plus, Lily was cast as Hathi the elephant. But, the music was difficult and I felt overwhelmed. In the end, it turned out well and I'm grateful for the experience. 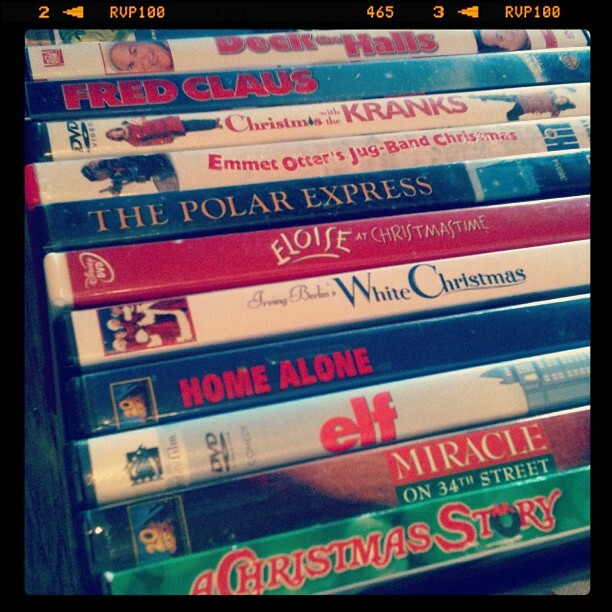 Yesterday I pulled out all the Christmas movies so that we are ready for this holiday weekend. 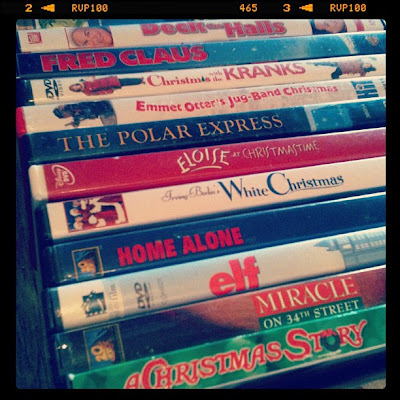 As I type, the children are watching Eloise at Christmastime, which is one of our favorites. Tonight we are going to play games at my parents home. Tomorrow we will eat plenty of delicious food with both sides of our family and I am grateful for Thanksgiving and for the opportunity we have to count our many blessings. 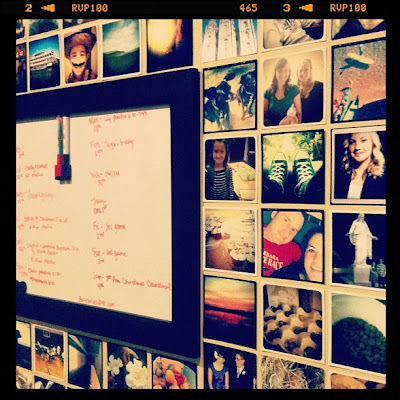 I've been ordering all my Instagram shots from Postal Pix over the last month. Yesterday, I put them up on a wall in my kitchen and I'm kind of in love with it. All of my favorite pictures, lined up, so that I can see them all day. It's brilliant. Today, at Cosmetology, Madeline asked her teacher to cut her some bangs. She's not convinced that it looks good, but I love it. 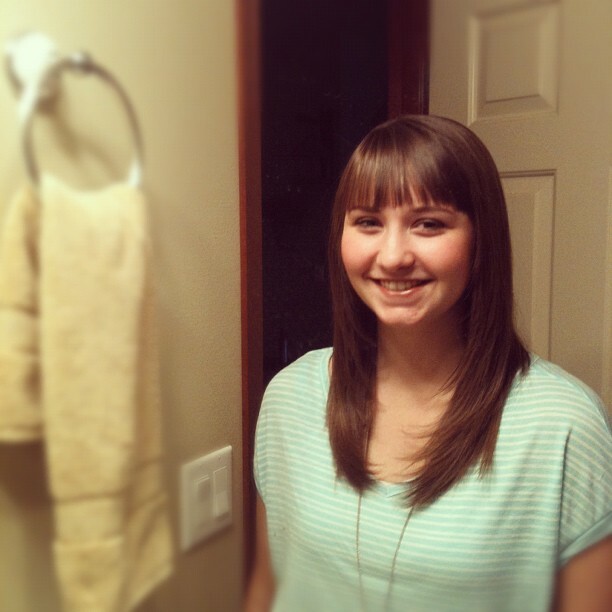 Change is good. + We recently bought a new board game to play as a family. Quelf. We love it. We played it Sunday evening and we were rolling on the floor laughing. Especially when Pauline had to pretend to be a cowboy, riding an ostrich, prancing around a beached whale while giving a stirring monologue. In French. IT WAS HILARIOUS. And I will never forget that moment. + Have I mentioned that we absolutely adore and love Pauline? Whenever I think about her leaving in June, I get tears in my eyes. Ok, I have to stop thinking about it. She is a wonderful addition to our family and I am so very grateful she is here with us. + Brandon is on his way home from Portland right now with a trailer full of Christmas trees. Due to a brand new restaurant in our usual tree lot location, we are selling trees somewhere else. For you locals, it's on the corner of Clearwater and Kellogg, and Brandon will be out there starting Friday. So please come visit us there when you need a tree.